I’ve recently heard of a handful of newcomers who just learned about Five Minute Friday — a very special welcome to you! We’re thrilled to have you with us! I hope you make yourself at home. 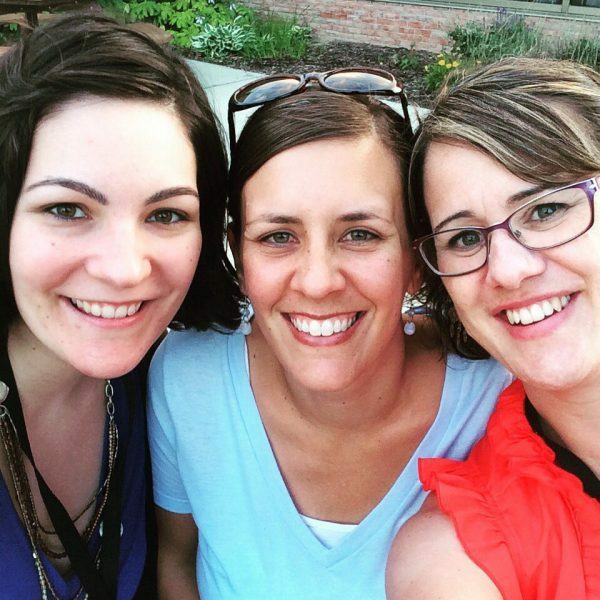 We’d love to have you join us on our FMF Facebook page, and on Twitter on Thursday evenings at #fmfparty! It’s Five Minute Friday time! This week’s prompt is: CREATE. Come join us! The One who knit us together in our mother’s wombs, the same One who carved each mountain and shaped each hill, who dug each ocean and filled it to the brim — He made us in His image. He made us to be like Him. No, we can’t create something out of nothing the way He did — but He has lavished us with an abundance of resources and astounding imaginations. I often find myself looking at what others have created, and I wish I could do what they do. I wish I could be where they are, achieve the excellence they’ve achieved. But that’s not who God made me to be. He made me to create in my own way. And sometimes that looks like playing Play-Doh on the kitchen counter with my kids. Sometimes it looks like building sandcastles on the shores of Lake Michigan. Sometimes it looks like cooking another meal I don’t want to cook. Someone asked me recently about what it’s like to host Five Minute Friday. I told her I can’t possibly read every post that is linked up every week, and sometimes I feel bad about not investing as much time as I’d like to invest. But I realized last year that maybe just creating this space for others to interact and share is what God has placed me here to do. Maybe by creating this space He even allows me to reflect His image. So here you go. This space is my gift to you. I’ve carved it out with the hands carved for me, and I pray it is a blessing. If nothing else, your presence here is a blessing to me. What does “create” look like for you? Join us for Five Minute Friday, where we free write for five minutes flat! It’s your turn! Share your own five minutes of free writing on the prompt, CREATE, below! I can’t wait to see what you come up with! And don’t forget to visit the blog linked up before yours to leave some encouragement! Thanks for being here! Kate, I love your perspective about embracing creating the way God designed us to create. I hadn’t thought about creating meals, but that is a good thing to consider . . . especially when I’m standing at the stove wishing I could be somewhere else. 😉 That meal? That’s a creation for my family, a gift to them. I love that you have created this space, offered it with open hands. It’s such a joy to connect here each week. Thank you for your presence here, Jeanne! You are a gift! You’re doing a great work for your family — keep it up! Love that picture of you guys! So awesome to meet your fellow creatives. (I’m next. Hee hee.) That must be hard not to read everyone’s posts. I feel similarly because they’re all so good. I love this big creative family! I love it too, Christina! Can’t wait to SEE you SOON!! @Jordon M Taylor: I was unable to comment on your blog. It asks me to sign into your blog (not into WordPress). You may want to check. Thank you for the space that you have created, so that we can get creative! You are so welcome, Alice! Thank you for being part of it! Yes! And I thank you for creating this space and this opportunity. It is a blessing. It’s my pleasure! I really do enjoy it. I needed to read that today. Just sent off my book proposal to the second round of agents. I was feeling all bummed out. I started to wonder how come I wasn’t successful right off the bat. But God made me to be me and has a plan that’s just for me. I don’t have to be or do things like anyone else. Thanks, Kate! Girl, I feel your pain. It’s so hard to wait, and yet that’s all part of His work in us, isn’t it? Thanks for being here. 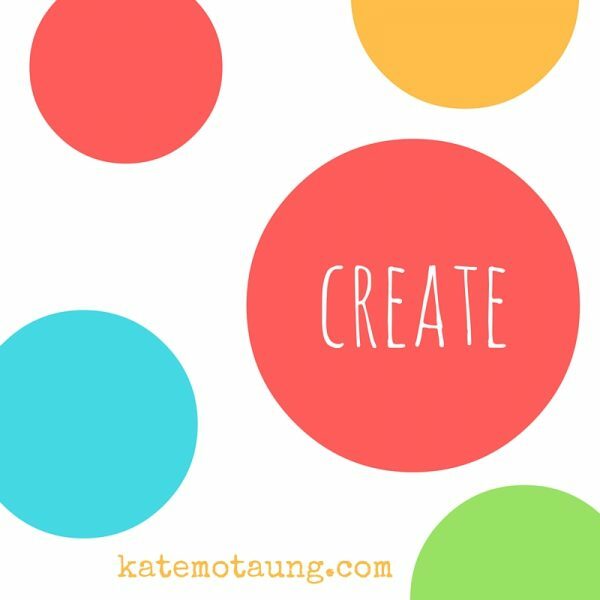 Kate, I really love your post on CREATE! Such an encouragement to see value in even our less-than-impressive efforts for the Lord and for our families. So glad to have you with us, Amber! I hope it’s the first of many! Oh Kate, no, there’s no way you can visit each one of our pages…and you’re right, you’ve creared a space for community and that is such a huge blessing to each one of us…as are the words God gifts you each week. after creating the illusion of “Tammypatra” in ancient Egypt every night this week for VBS, I didn’t have time left to create a post. (That and the college class…) But, I did ponder it and would have gone in the same direction. That God created us in His image and when we create, we are the mini-creators, copying our Lord. I was actually going to mention my first creations of play-Doh and the snail in 3rd grade I made from clay. How creating music and art and plays, that I can’t stop. Fun coincidence? My swag from the Jumping Tandem retreat was a Krafty Kash necklace with the word, “Create” in it. Thank you for creating this space. It has affirmed me SO much the last two years and continues to do so!! Oh boy! Just launched a blog AND linked up to my first FMF! Excited to be here!!! Hooray! Welcome! I hope it’s the first of many! Love your website name, by the way!